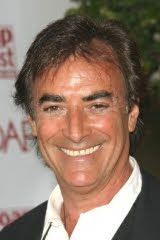 The Diva of Days of Our Lives: Thaao Penghlis interview ready for playback! Our blogtalkradio interview with Thaao Penghlis is ready for playback and download. Again, Thaao was naughty and very informative at the same time. lol Thanks so much to all our callers, I didn't think we were going to make it to everyone! Thanks to everyone in the chat room also.